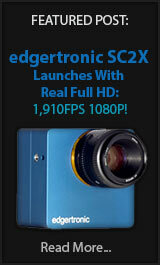 A list of the most affordable and capable hi speed cameras available today. Organized by quality and capability over price. *We consider inclusion on the guide list if the camera has a frame rate above 60fps. Since most cameras can deliver 60p 1080 in the low end we are not including them unless they show higher speed capabilities. Our assesment and ranking is based on over 20 metrics including resolution, frame rate, price, codec, ISO, lens mount, image artifacts, The results only show the final ranking without the formula.